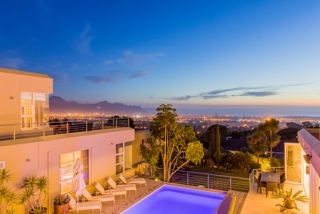 In the last year, property prices for houses in Somerset West’s gated complexes have outperformed those of freehold homes in the town by over 10% – this despite the fact that the latter are themselves up 15% from 2015. Despite a slew of new developments in Somerset West and its adjoining areas, such as Croydon and Paardevlei, heavy demand is fuelling house shortages across the board, he says. “There are approximately 19 000 properties in Somerset West, with slightly more than half of those in gated or sectional-title complexes. Where, in 2009, there were around 1000 properties for sale in the town, in 2016 there have only been 420 – and the percentage is that much smaller when you consider the large number of new properties that have been built in the last seven years. “There has also been a significant shift in the average age of owners in recent years,” he notes. “Older people (65-plus), who once made up the vast majority of homeowners, now account for only 23% of purchases, while 50% of purchases are being made by people under the age of 49. This really isn’t surprising given Somerset West’s close proximity to some of the country’s best schools in Stellenbosch and Paarl, its easy access on the N2 to both Cape Town (45km) and the international airport (30km), and, of course, its undeniably scenic setting, says Campbell-Harris. “The town has experienced phenomenal growth over the last few years. Our recently-opened R400m retail centre, The Sanctuary, is the latest in a string of new shopping complexes, and medical facilities in the Helderberg, which include the 100-bed Busamed Paardevlei Private Hospital as well as several day hospitals, are world-class. This former five-star boutique hotel in Pearl Rise, Somerset West, is for sale through Chas Everitt International for R25m. Designed on three levels, each with its own entertainment area, it offers eight bedrooms, a chef’s kitchen, a swimming pool with Jacuzzi and a tennis court. For more details see www.chaseveritt.co.za, ref 13409777. Situated in a gated estate a stone’s throw from the centre of Somerset West, this two-storey home is for sale through Chas Everitt International for R2,495m. It offers four bedrooms, a sunny living room and a solid wood and granite kitchen. For more details see www.chaseveritt.co.za, ref 13410381. This three-bedroom family home in Parel Vallei, close to Beaumont Parel Vallei and Somerset House schools, is for sale through Chas Everitt International for R3,2m. It has a separate guestroom, a double garage and a treed garden with a borehole. For more details see www.chaseveritt.co.za, ref 13407881.